Pembroke passenger and car ferry ticket prices, timetables, ticket reservations and information for ferries sailing from Pembroke to Rosslare. Compare all available Pembroke ferry ticket prices in real time and book the cheapest available Pembroke car and passenger ferry tickets sailing to and from Pembroke, Rosslare with Irish Ferries ferries online with instant confirmation. Book Pembroke Ferry Tickets with Irish Ferries for ferries sailing from Pembroke to Rosslare online in advance to enjoy the cheapest available ferry ticket price. The price you see is the price you pay. There are no hidden extras or surprises such as added fuel surcharges or booking fees and we do not charge you anything extra for paying with a Visa Electron card. The price we quote you for your selected Pembroke passenger or car ferry ticket, onboard accommodation and vehicle type is all you will pay, and that's a promise. To obtain a Pembroke ferry ticket price and book your ferry ticket securely online please use the real time ferry booking form on the left. You are also able to add a hotel at your destination, or anywhere else, to your ferry ticket when completing your ferry ticket reservation. The ancient town of Pembroke is a popular tourist destination for Pembrokeshire. The streets of the town still follow their medieval line and although the houses have been rebuilt in stone during the towns more prosperous periods in the 18th and 19th centuries, visitors can still get a feeling of the old medieval town. Pembroke is a beautiful, historic, largely unspoiled town, along with the castle there are a great deal of attractions. Visitors can take the popular town trail, visit the museum of the home, there is also a daily indoor market and numerous small craft, gift and specialist shops. The town also boasts a superb children's playground, with picnic and barbecue areas adjacent to plentiful parking on the commons road. Nightlife in Pembroke is able to suit everyone. There are many pubs, bars and nightclubs situation in the Main Street. Transport in Pembroke is good with a regular bus service and train service serving the town (see travel). Pembroke is always developing. There are plenty of walks and activities to entertain all visitors and locals and guarantees an enjoyable, fulfilling experience for everyone. Tourism is a very important commodity in recent years with its closeness to Tenby and Saundersfoot holiday resorts, this with the numerous beaches within miles of Pembroke and Pembroke Castle will hopefully continue to see Pembroke prosperous into the future with its tourist industry. The town's centrepiece is its magnificent Norman castle, standing proudly at the head of a rocky ridge and surrounded on three sides by water. It is one of the finest and best preserved strongholds in the country. The Main Street, which runs the length of the old town, is ideal for strolling and browsing. There are several interesting Tudor and Georgian houses, two historic churches, and a pleasant mixture of shops, pubs, cafes and restaurants. There are gentle walks along the Mill Pond (look out for kingfishers and otters) and to the remains of Monkton’s Benedictine Priory. Pembroke is at the very centre of a wide circle of things to do and places to see, many of which come under the care of the Pembrokeshire Coast National Park. Within easy reach of Pembroke are the resorts of Tenby and Saundersfoot; the historic and revitalised dockyard towns of Pembroke Dock and Milford Haven; the castles of Manorbier and Carew; the magnificent beaches of the South Pembrokeshire Coastline; the popular market town of Narberth; the picturesque 24 mile Haven Waterway, and, of course, the Pembrokeshire Coast Path. All this, plus many man-made attractions and activities to be found in the area. Best Price Guarantee - We always offer you our lowest available Irish Ferries passenger and car ferries ticket price to and from Pembroke. There are no hidden extras or surprises such as added fuel surcharges or booking fees and we also we do not charge you anything extra for paying with a Visa Electron card. The price we quote for your selected Pembroke ferry ticket, onboard accommodation and vehicle type is all you will pay, and that's a promise! 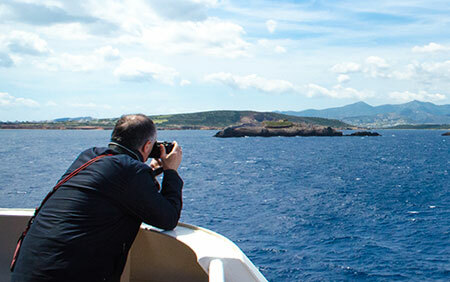 In the unlikely event you find the same all inclusive Pembroke ferry ticket cheaper in the brochure of any other tour operator we promise that we will do our best to beat that price or offer you the choice of requesting a refund. To book Pembroke car and passenger ferry tickets please click here. At ferryto.co.uk you are able to obtain live Pembroke ferry ticket prices, check availability and book car and passenger ferry tickets to and from Pembroke at our lowest available ticket price. Ferryto.co.uk is part of the world's largest online ferry ticket distribution network providing the ability to book over 80 major European ferry operators including to Pembroke and to over 1,200 other ferry routes throughout the UK, France, Spain, Ireland, Holland, Eastern Europe, the Mediterranean, the Baltic and North Africa.